Are you just beginning with project-based learning? Are you concerned about time? Are you wondering about how to engage students in their first project? Anyone getting started with PBL has concerns and questions about making it a reality in their classroom. One of the things we stress for new PBL practitioners is, as I say, “Don’t go crazy.” It’s easy to go too big when you first start with PBL. I’ve heard from many teachers new to PBL that a large, eight-week integrated project was a mistake. It was difficult to keep momentum, and students often grew tired of the project itself. Teachers and students both need to consider their own scaffolds and a gradual release to more long-term and complex PBL projects. Here are a few things to consider if you’re just getting started with PBL. Projects and project libraries are everywhere. Instead of planning a full project with all the learning targets, milestones, and products, teachers can save time by renovating an existing project. As you search project libraries for ideas, remember to look at projects across all grade levels. Although you might want that very specific seventh-grade social studies project, you might find a relevant project in 11th grade that could be modified. Be open to projects everywhere, find great ideas, and then modify. The longer the project, the more students should learn. Therefore, a four-week project will no doubt target many standards that must be taught and assessed, which can be quite daunting for a first project. Try to focus on two or three priority standards for your first project. Concentrate the learning on one subject rather than multiple disciplines. And aim for a two- to three-week project, or approximately 10 to 15 contact hours. In addition to limiting the time, you might consider narrowing choice. Instead of many product options, offer a short menu. Allow students to choose how they want to work, but choose the teams for the project yourself. There are many ways to build voice and choice into a project, but these aspects can be limited. By narrowing the scope of a project, teachers and their students can have short-term success that builds stamina for more complex projects later. One of the challenges of PBL, but also one of the joys, is the planning process. In PBL, you plan up front, and it does take a significant amount of time. You need to plan assessments and scaffolds and gather resources to support project learning. While you might be able to do some of this during scheduled planning time, ask your leadership for creative structures to carve out time for planning. Perhaps staff meetings can be used for this time, or release days can be offered. It’s important to get ahead and feel prepared for and confident about a project. By using the backward design process, you can effectively map out a project that’s ready to go in the classroom. Once you plan, you’re free to differentiate instruction and meet the needs of your students rather than being in permanent crisis mode trying to figure what will happen tomorrow. When you have a great project planned, reach out to colleagues both digitally and in person to get feedback. This can be done through posting an idea on Twitter or having a gallery walk of ideas, where teachers walk your project gallery and leave feedback on Post-its. If you’re able, have a 30-minute conversation with a teacher colleague or an instructional coach. It’s easy in a short-term project to fall into the trap of a “dessert” project that isn’t necessarily inquiry-based. 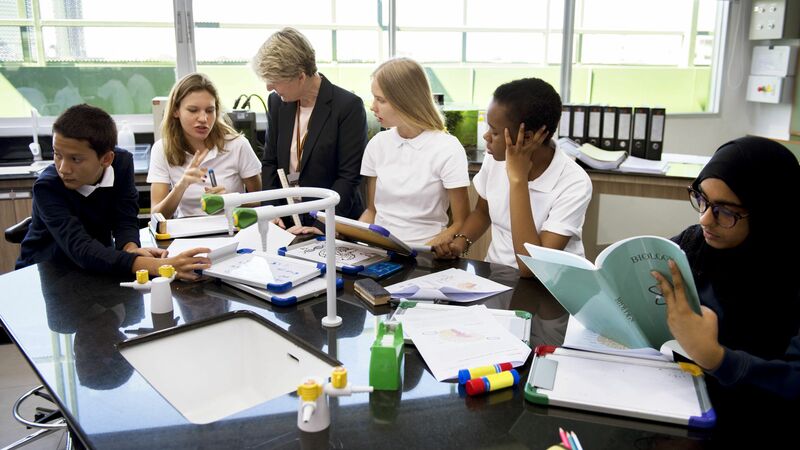 With PBL, the project itself is the learning—it’s the “main course.” In fact, many teachers who think they’re doing PBL are actually doing projects. In PBL you’re teaching through the project—not teaching and then doing the project. Use an effective PBL project checklist to ensure a high-quality experience while still keeping a narrow focus and timeline. It helps to make sure that you’re focusing on aspects such as inquiry, voice and choice, and significant content. We’re all learners, and when we start something new, we start small, limiting our focus to help us master the bigger thing step by step. A key aspect of this is that when you finish a project, you should carve out time to reflect on it. Consider journaling, having a dialogue with an instructional coach, or following a structured reflection protocol with a team of teachers. Through reflection, projects become better and may live on for many years, so that reflection time pays off with time saved on subsequent runs through the project.